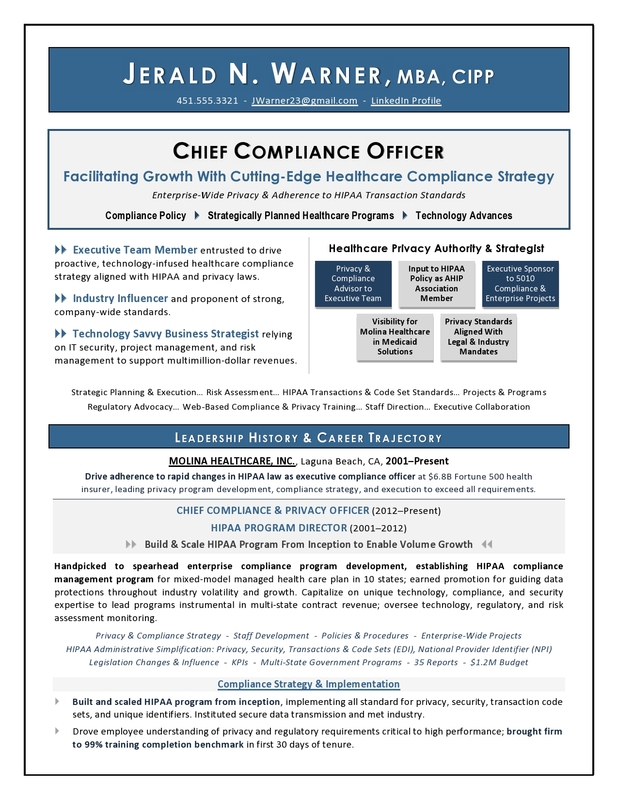 CEO sample resume; award winning resume writer serving Chicago, Raleigh, DC. 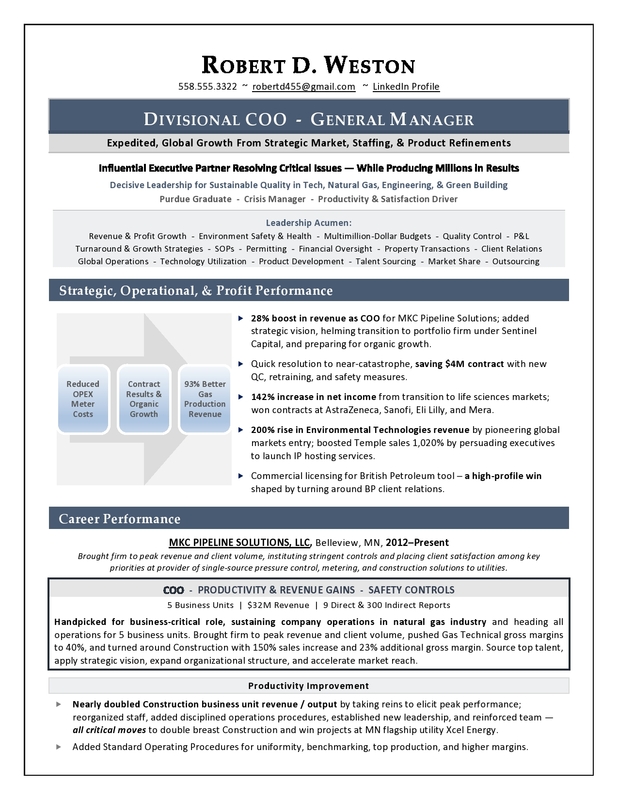 I specialize in powerfully branded C-suite resumes that exemplify your brand value and get rapid results, working with leaders in large corporate environments, startups, M&A situations, and other demanding business settings. 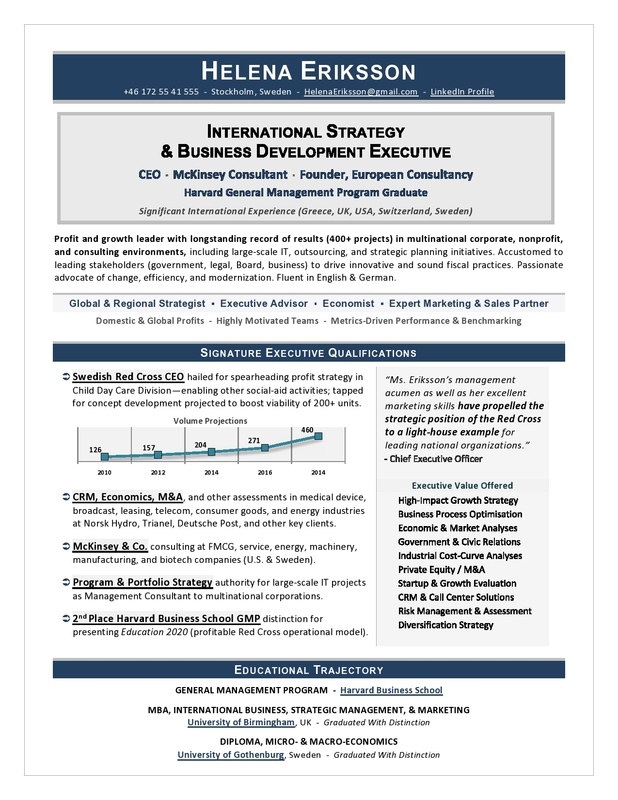 This Global CEO Resume won a Best Executive Resume Writing award in the TORI competition, and this CEO quickly landed his next role as a PE executive. 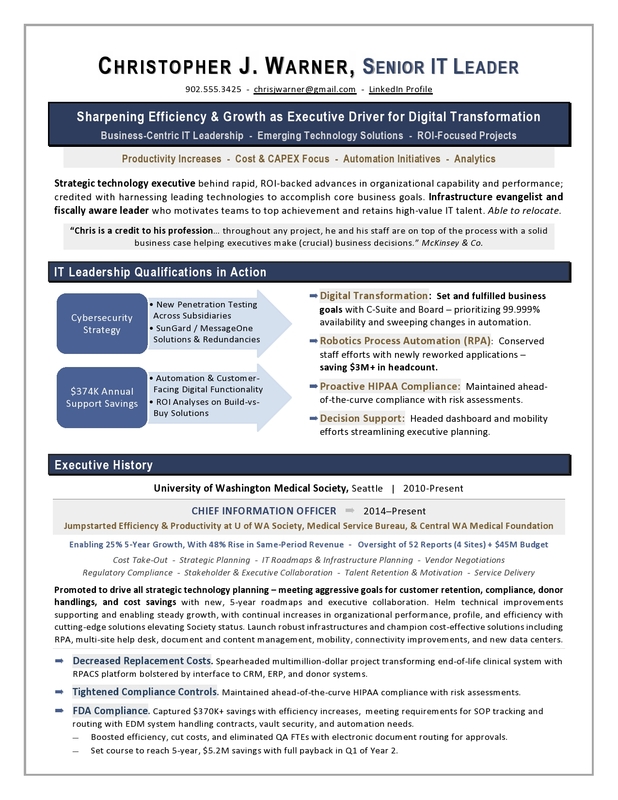 Ready for the results you deserve in your executive job search? Contact me to personally discuss your needs in detail. 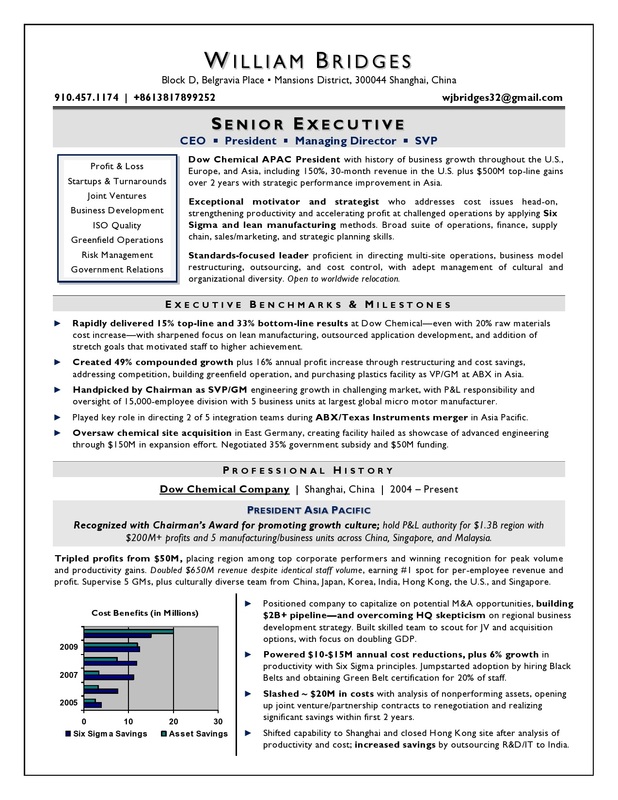 The first page of this interview-winning, award-winning CEO resume is shown below. 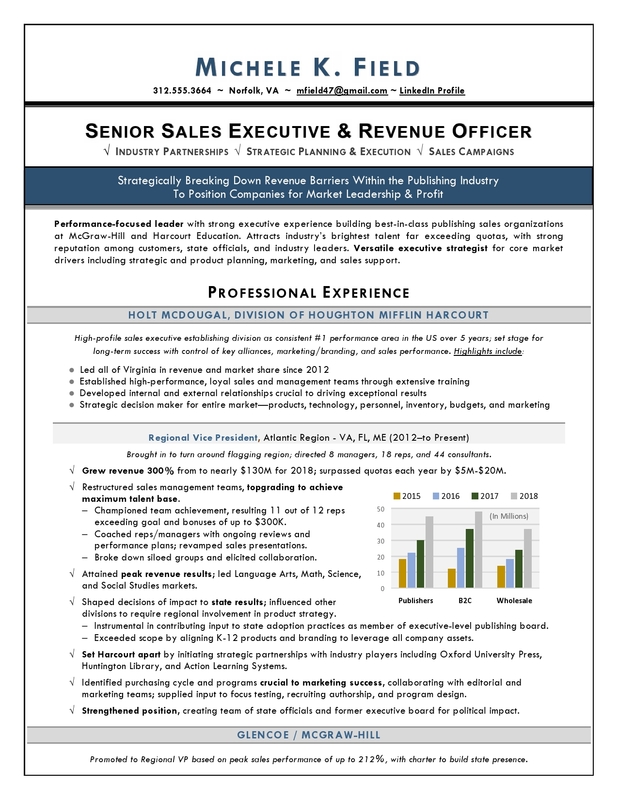 What makes my executive resume writing service the best choice for you? 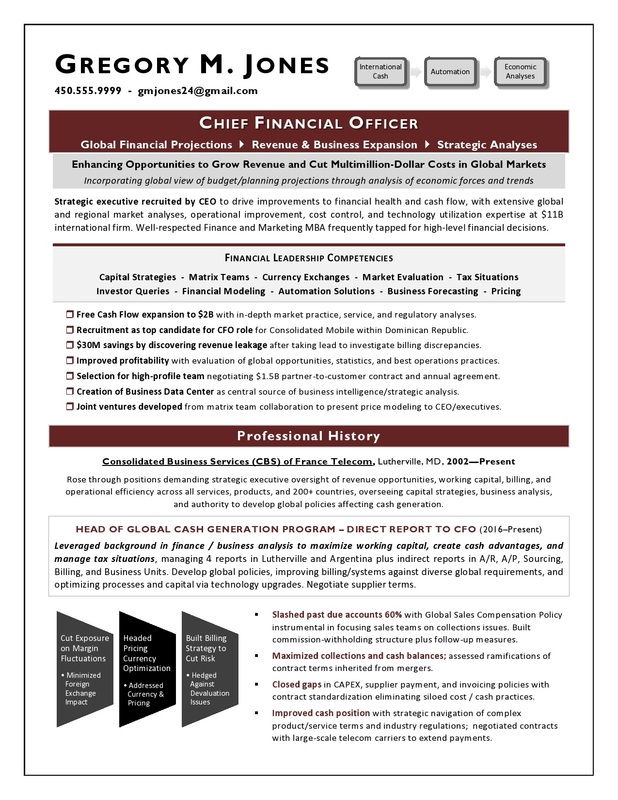 My clients experience OUTSTANDING results and increased confidence as a result of my services. As an award-winning resume writer (ranked among best executive resume writing services for global TORI wins) and a former recruiter, I know the qualities that employers seek – and many executives miss – that can make or break a hiring decision. When you work with me, you get personalized service tailored to your needs from a Certified Professional Resume Writer and former recruiter. My high success rate comes from my unprecedented skill developing compelling, keyword-rich documents, plus 20+ years in the hiring industry. Contact me to win more interviews with my expert career marketing services.